The Art History Association’s spring event, “A Symposium Commemorating Hugo Munsterberg’s Legacy” was held on April 6 in the Coykendall Science Building Auditorium as part of a yearlong celebration of the late emeritus professor’s life and contributions to the College. This lecture considered Munsterberg’s qualities as a scholar and connoisseur, with particular attention paid to the arts of Africa. Speakers included alumna Dr. Christine Mullen Kreamer ’75 (Art History) of the National Museum of African Art (Smithsonian) and Professor Ikem Okoye of the University of Delaware. 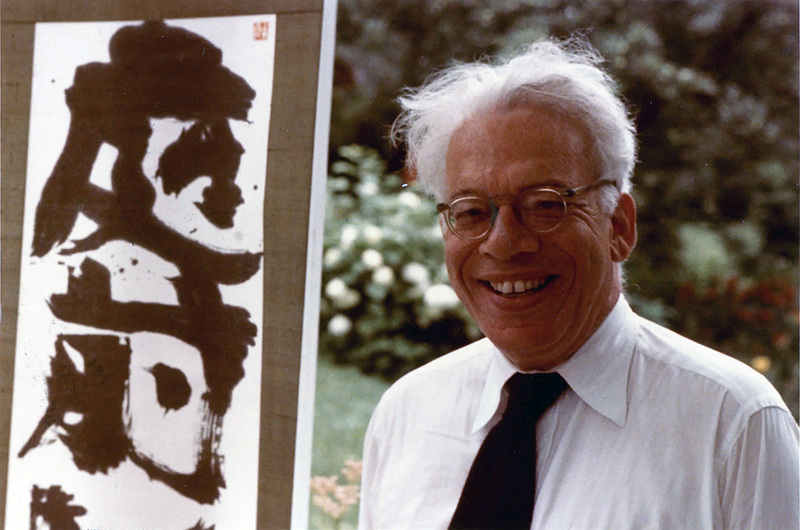 Munsterberg, who passed in 1995, was founder of the Art History Department at New Paltz and known for teaching legendary classes on Asian art (his specialty) and World art at the College from 1958 to 1978. Since 1964, SUNY New Paltz has offered a Bachelor of Arts degree in Art history with a wide variety of courses in the history of painting, sculpture, architecture, graphic and decorative arts, design, and photography. The symposium was the final event planned as part of a yearlong celebration of Munsterberg’s life. Other events included celebrations last fall commemorating Munsterberg’s birthday in September and opportunities for alumni to reconnect in his honor during Alumni Reunion in October. The entire proceedings of the Art History Association’s 2017 spring symposium are now available online.